The Best Homemade Brownie Recipe Of All Time… And You Probably Already Have The Ingredients! 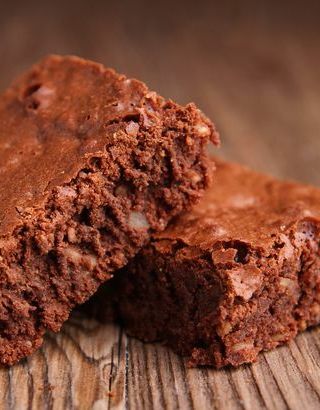 This nice, easy brownie recipe is sure to be a crowd-pleaser whether it’s your family, or at a bake sale. It keeps in the spirit of using whole ingredients (instead of box mixes), but it shouldn’t require anything more than what you already have in your kitchen right now! Pour the batter into the baking pan and push it to the edges in an even layer. Use a rubber spatula to smooth out the top. Bake about 25 minutes in the oven or until a toothpick inserted into the center comes out clean. Move pan to a wire rack and let cool for 20 minutes. Grip the extra foil from the edge of the baking pan, and lift to transfer brownies to a cutting board for cutting to desired size.